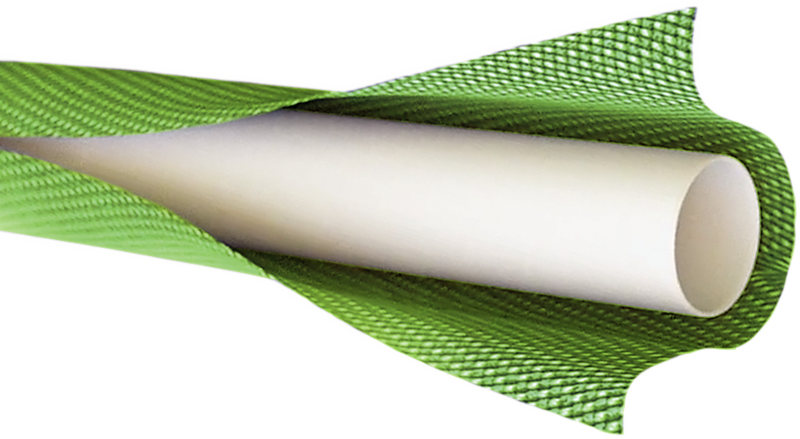 The zero-G® PRO hose is 55% lighter in weight compared to commercial vinyl hoses. The hose is so compact it will fit in a 5-gallon bucket which can be transported in the back of a work truck or compartment. The 3/4 inch diameter allows for high water flow and the neon green color provides high-visibility for job site safety. The commercial-grade corrosion resistant couplings meet the demands of all work site conditions. Works with all hose attachments so all of your watering can be done with one lightweight hose. 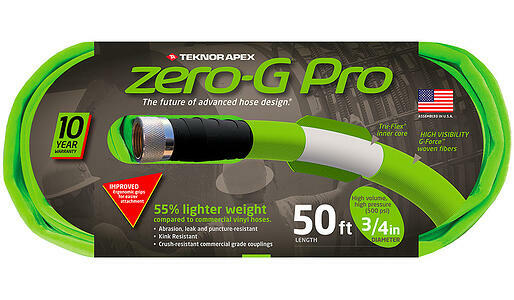 Try the zero-G PRO hose today and take the work out of your work day. An instance of breaking or splitting as a result of excessive internal pressure. Puncture resistance is a measure of the maximum force or energy required to penetrate a material. Tensile strength is a measurement of the force required to pull something such as a rope or wire to the point where it breaks. Quantity of liquid moving through a pipe or channel within a given or standard period (usually a minute or hour). The amount of force required to distort coupling threads. 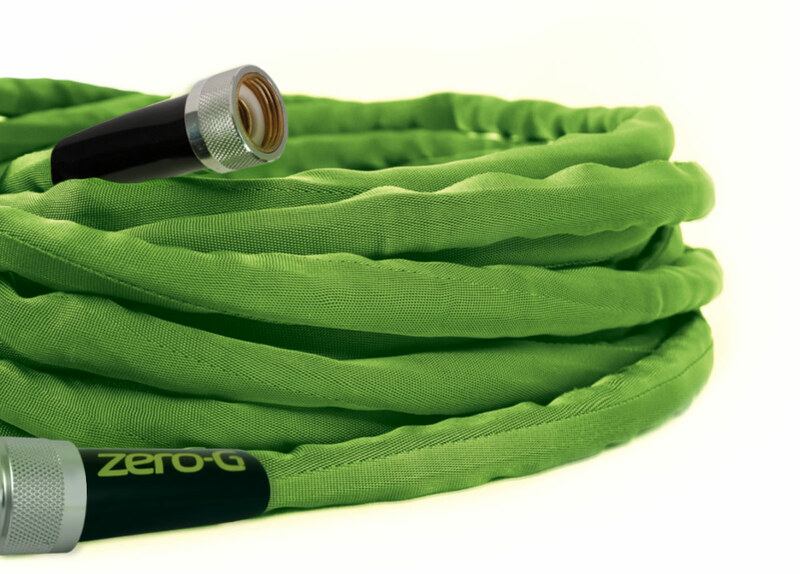 What is the intended use for the zero-G PRO water hose? The zero-G PRO can be used for all professional needs, such as filling containers, mixing concrete and in job site application. It can also be used for any lawn & garden or farm & ranch needs. What replacement coupling can be used with the zero-G PRO? 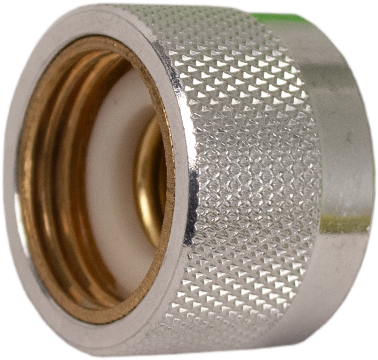 You can use a 5/8" connector male or female to replace coupling. Can zero-G PRO water hose be stored in Hose Reels? Yes, the zero-G PRO can be used with most standard hose reels. Water will flow even when hose is not fully extended from hose reel. For storage, drain water from zero-G PRO and then easily wind product into Hose Reel. Does zero-G PRO work with a pressure washer? Yes, the zero-G PRO can be used in pressure washer applications. 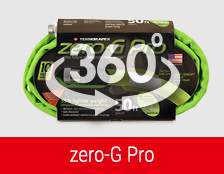 Will lawn chemicals or gasoline harm or deteriorate zero-G PRO? No, materials used to manufacturing zero-G PRO are resistant to lawn fertilizers and gasoline. Can zero-G PRO be used in hot water applications? No, zero-G PRO is not recommended for hot water use.